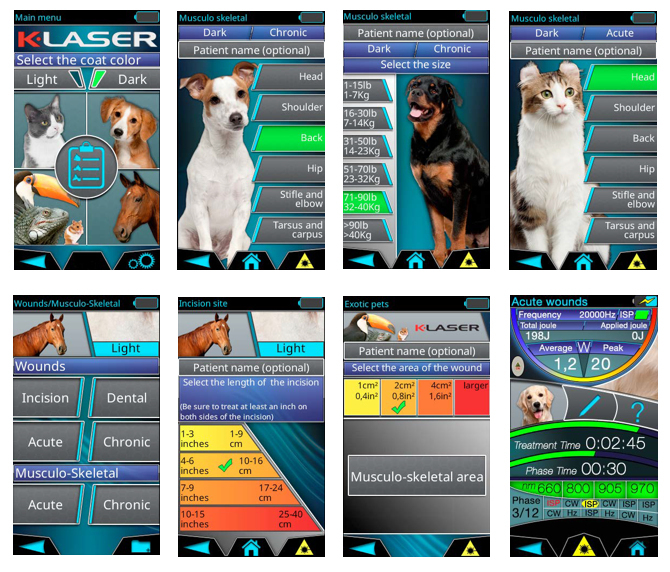 VBS Direct Ltd - What is Class-IV Laser Therapy - Innovative solutions for the veterinary professional. K-Laser Dynamic therapy uses several pulse frequencies to produce a combination of analgesia, inflammation reduction, biostimulation and antimicrobial effects, thus accelerating the regeneration of tissues and increasing cellular energy. Cells are then able to thus absorb nutrients more quickly and eliminate waste substances. As a result of the exposition to laser light, the cells that constitute tendons, ligaments and muscles are repaired more quickly. K-Laser Dynamic Therapy has anti-oedemic effects since it produces vasodilation while activating the lymphatic drainage system, which results in swelling reduction. The wavelength of light not only determines colour in the visible spectrum, but also it's depth of penetration into the body system. In general, longer wavelengths allow energy to penetrate more deeply into the body than shorter wavelengths. Wavelengths also have different absorption efficiencies for particular body structures. This wavelength is well absorbed by the melanin contained within skin ensuring a high energy concentration within the superficial tissue layers. Laser therapy provides excellent results in wounds healing and scar tissue regulation as the light both inhibits bacterial proliferation and increases cellular growth. 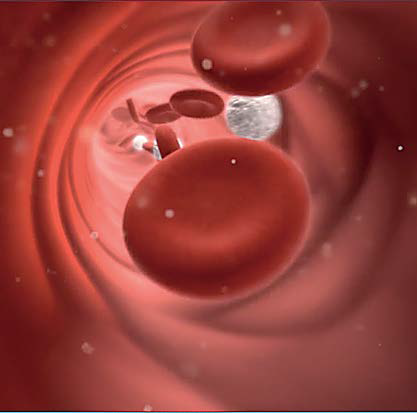 Blood is the body's main transport system. It provides cells with oxygen required for metabolism and removes waste. The 970nm wavelength is well absorbed in allowing a large part of the energy delivered by the therapy to be is transformed into heat. 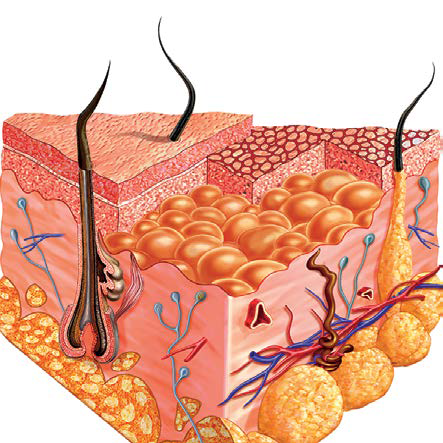 The deep tissue layers are thus transformed into localised heat points that create temperature gradients at cellular level. 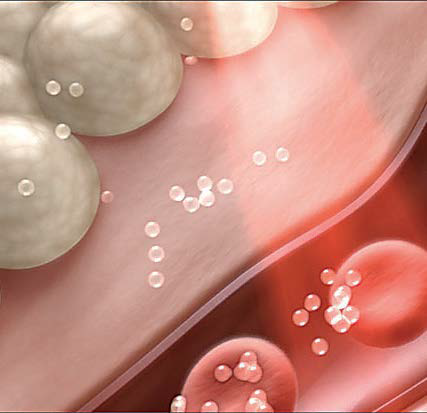 They also boost local microcirculation thanks to the increase in oxygen provided to the cells. 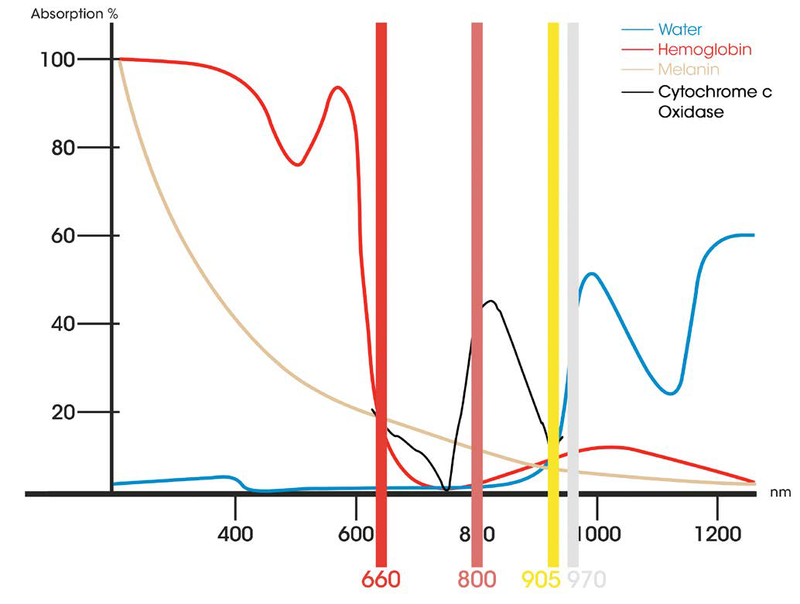 The 905nm wavelength enables the peak absorption of light energy by haemoglobin, water, melanin and Cytochrome C oxidase. This results in more oxygen being available to cells and so speeds up the natural healing process. 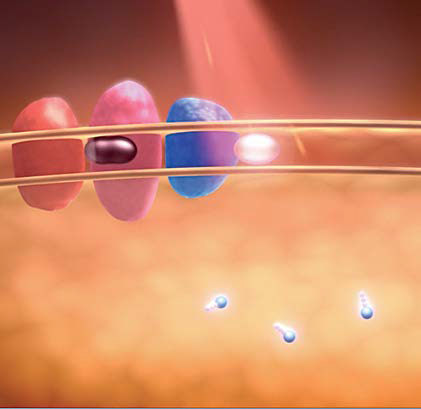 K-LASER research determined that enzymes absorbed best at 800nm. Cytochrome C oxidase is the terminal enzyme of the respiratory chain and determines how efficiently cells convert molecular oxygen into ATP. An ATP molecule is generated for each oxygen-reduction cycle accomplished. Photon absorption from laser therapy accelerates this cycle and so increases ATP production. Lasers can deliver their light energy either as a Continuous Wave (always on) or pulsed. The number of times the light is switched on or off each second is called the Frequency. Different pulse frequencies elicit different physiological responses depending upon the anatomical part being treated (i.e. bone, soft tissue, and fat). K-Laser CUBE Series lasers also provide an Intense Super Pulse (ISP) mode that deliver bursts of high peak power for a short period of time. The greater the depth of the cells you are treating the more energy is needed to produce a therapeutic effect. By starting out with more energy at the skin surface treatment times are dramatically reduced compared with less powerful lasers. Knowing which combination of Wavelength, Power and Frequency is most appropriate for each condition is the result of decades of on-going research. In addition, to achieve to best therapeutic effect K-Laser protocols can also have up at 12 different phases of treatment each with their own Wavelength, Power and Frequency settings. 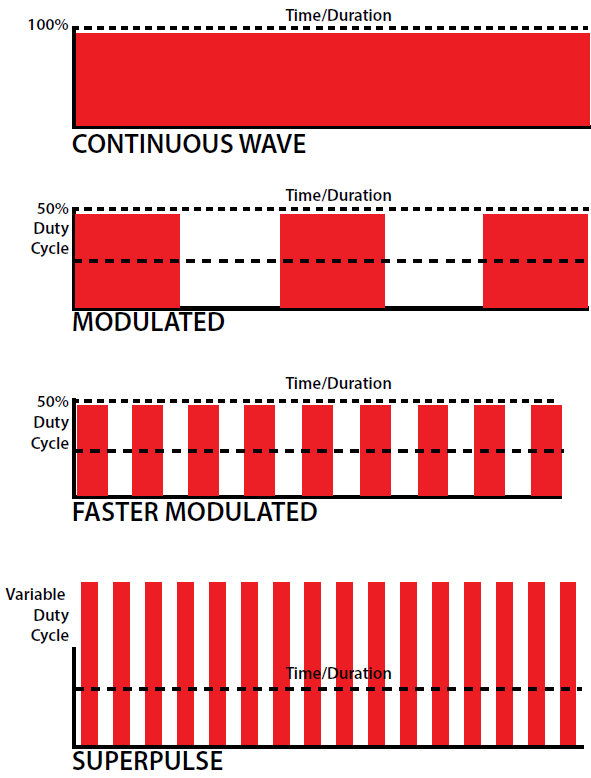 To be a practicable modality in practice Laser Therapy must be simple and quick to perform. K-Laser has the most intuitive easy to use touch-screen software available. Simply select the species, condition, coat colour and any additional parameters like ‘Weight’, or ‘Wound Size’. K-Laser is then automatically calibrated to deliver the optimal treatment protocol. 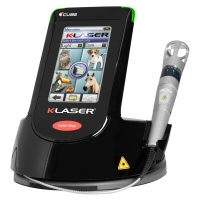 K-Laser has done everything possible to make laser therapy as simple as possible.